Grow a healthy lawn without the use of toxic weed killers and fertilizers. Weed and feed products are harmful to the environment, to your family's health and to the beneficial organisms--earthworms, bacteria and fungi--found in your yard's soil. 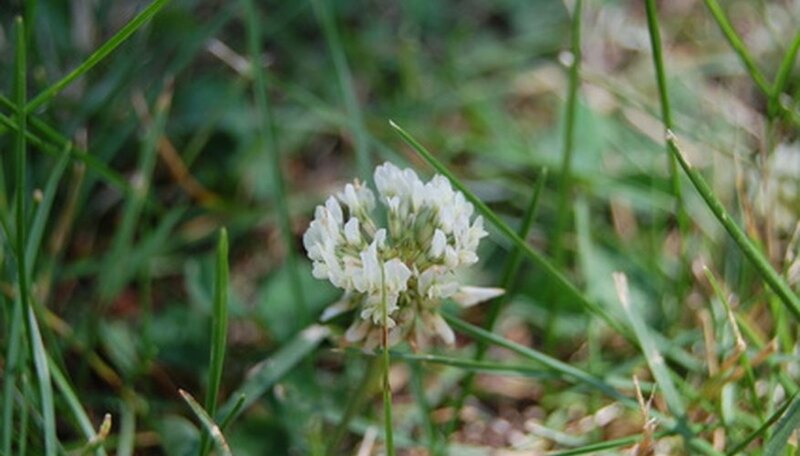 Use these natural methods to keep your lawn weed-free and healthy. The oldest method and the greenest method is pulling weeds by hand. Pull only the largest, most invasive weeds. Leaving some weeds in the ground is not harmful to your lawn and often does not affect the appearance of your lawn either. Slow release fertilizers are applied once a year. Fertilizers are coated to allow a slow release of the fertilization chemical; constant fertilizer is unnecessary as fertilizers continue to release throughout the year. These fertilizers are broken down by soil microbes so chemicals remain in the soil as opposed to running off into ground water or streams. Mow your lawn less and mow it higher, keeping the lawn at about 2 inches in height. Water your lawn less often, but when watering it, water it deeply to encourage root development; water weekly adding about 1 inch of water to the lawn each week. Seed bare or thinner areas of your lawn with grass seed to prevent weeds from having a place to grow. Natural weed killers include such things as vinegar, boiling water and salt. All of these, when applied directly to weeds can be effective. Another effective herbicide is corn gluten meal, a by-product formed when corn is processed to make corn syrup or starch. When applied to sprouting weeds, corn gluten meal prevents the seeds from developing roots.